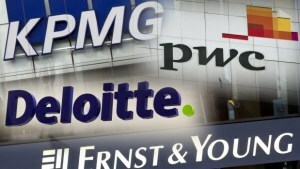 that examines the impact of consultancies on the industry. Sign up and support us to see in-print first. “Consultancies can be the Martin Sorrell of 2018,” was the bold statement made by AdWeek editor James Cooper on a recent podcast. “The consultancies out there have little or no debt and have tonnes of cash so can acquire businesses much easier than an agency holding company could,” he said. The comparison to WPP’s former boss and consultancies may seem peculiar at first, and one that Sorrell himself would probably dispute, but there is no denying the two forces have shaped, or are shaping, what advertising looks like today. Sorrell, whose 30–year reign came to an end earlier this year in a shock resignation, built the advertising holding group model - one which is now broken and in need of reconstruction. In the 80s, WPP set off on an acquisition path that saw big agencies like JWT, Grey, Ogilvy, and dozens of smaller agencies pulled into its portfolio. These acquisitions kicked off mega mergers across the industry as agencies realised they had to join forces to fight off the threat of WPP’s burgeoning empire. History is somewhat repeating itself. But, instead of holding groups like WPP or Publicis Groupe dictating the future of the industry, it’s big consultancies of Accenture, Deloitte, PwC and KPMG wielding the power. Another move locally which piqued interest was ASX-listed consultancy RXP acquiring independent creative shop The Works last August. As Darren Woolley, founder of independent management consultancy Trinity P3 explained it, Sorrell may have created the model, but his focus on operational efficiency rather than showing the value WPP could offer clients, fuelled a downward spiral on cost, eroding the profit margins of agency holding groups. “Sorrell created the model and consultancies are now holding agencies accountable,” he said. 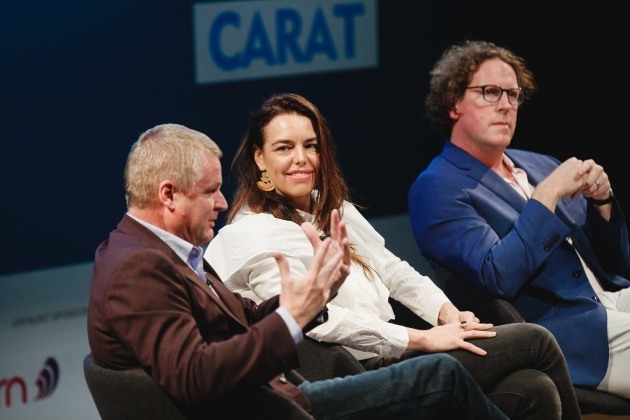 Just as Sorrell’s moves at WPP rippled across the global industry, the presence of consultancies has led to a wider shift in advertising, not just through acquisitions, but also in the way holding companies are responding to the threat of their new competitors. The past two years has marked a flurry of consultant acquisitions and investment in some of the best creative agencies. These include several Down Under like The Monkeys, Thinkerbell, The Works and AJF Partnership. 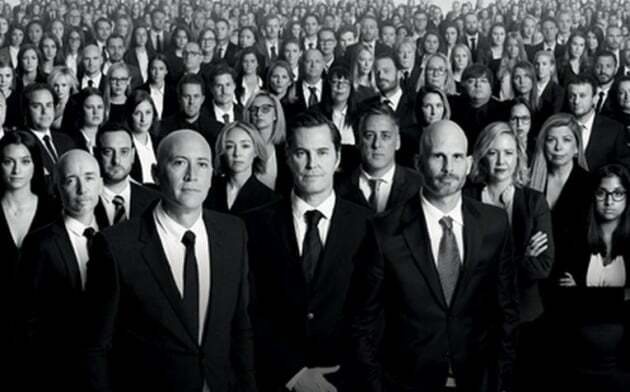 The emergence of consultancies into adland has been bold and agency leaders have taken notice. Top execs like The Works’ founder Damian Pincus have added insult to injury by claiming the hybrid consultant/ agency model is stronger than a “traditional agency” model, turning down multiple offers from groups like Omnicom in favour of what he touts as “the future of advertising”. There have been dozens of articles written about the potential impact of consultancies and how they will “eat agencies' lunch”. There has been even more written about how consultancies won’t be able to foster the creative culture that leads to good work. But right now, it’s almost all speculation, with a lot of the long–term impact yet to be seen. Despite its new more corporate parent company in Accenture, The Monkeys say they are far from looking, sounding or acting like consultants. That’s why it wanted to put an ironic twist on its agency by dressing up the entire workforce as serious high end business people for the front cover of the June issue. The front cover vibe may signal corporate, serious and straight-laced, but The Monkeys show no sign of inching down that path. You can read more about the meaning behind the cover here. 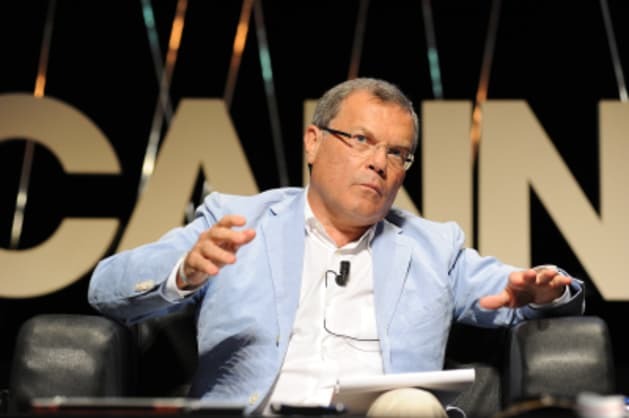 Sorrell discussed the idea of consultancies threatening his holding company's turf as "fake news", but WPP, as well as Publicis, Omnicom and many of the major media groups, are nonetheless taking a run at consulting giants. Traditional ad networks are fighting fire with fire by launching new divisions to provide business transformation services like that offered by consultancies. In Australia, WPP launched a consultancy division in March this year and CEO Mike Connaghan used the opportunity to take a swipe at global consultancies, claiming the new business unit would go “far beyond a conventional business consultancy”. Globally, WPP consolidated its consultant portfolio, merging four agencies under the Kantar umbrella. It is also eyeing further acquisitions in this space. Kantar boasts a wide client base including Amazon, Walmart and PepsiCo in the US. Kantar in Australia is still branded as Kantar Millward Brown and is a quarter of the size compared to its US offering. It’s yet to fully ramp up its offering in this country. Publicis Groupe, the second largest holding group behind WPP, has also shared its interest in growing its consultancy offering, with CEO Arthur Sadoun recently outlining a three–year plan for the company that identified the area as one of three core priorities. Sadoun said Publicis would be focusing the transformation of its technology and consultancy offering led by its digital business unit Publicis Sapient, which it formed in 2015 when the holding group purchased Sapient. If you speak to Publicis Communications CEO Michael Rebelo, he’ll tell you Publicis was in front of the trend towards consultancy with the acquisition of Sapient. And it’s not only Publicis and WPP muscling into this space; M&C Saatchi launched a data consultancy in March; TBWA revealed its Disruption Labs in January; Omnicom brought its global consultancy Integer to Australia; IPG has ramped up its consulting offering via R/GA, and Havas launched a brand strategy and consultancy firm last year. You only have to look at these major moves to see consultancies have laid out the blueprint for how agencies will do business moving forward. 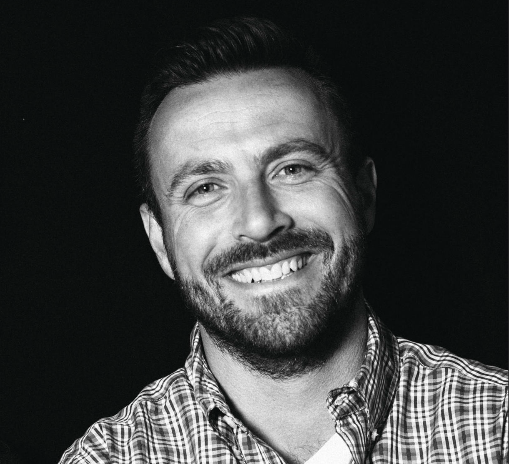 Adam Ferrier, co–founder of creative agency Thinkerbell, which is minority owned by PwC, describes holding groups moving into the consultancy space as a “local milk bar trying to launch a five–star restaurant”. “It’s very difficult to extend up into strategic consultancy rather than extend down into more executional services," he said. "I’d worry about the legitimacy of the consultancy offering, but if holding groups can launch consultancy services, they should." Ferrier acknowledged his own bias, being part of PwC, but also speaksfrom experience collaborating with the consultancy on various clients. However, he isn’t completely dismissive of agencies. “Some of the best agencies are not associated with any consultancies ... yet,” he said. He is alluding to more acquisitions in this space and it’s a safe bet, with Accenture, Deloitte and McKinsey collectively spending US$1.2 billion on agency acquisitions in 2017 according to analysis from marketing consultancy R3. Within the same year, top agency holding group mergers and acquisitions plummeted by US$1.8 billion - a reduction of 46% on 2016 levels. Other consultancies like multinational professional services firm EY, Bain & Co. and Boston Consulting Group are still yet to show their marketing hand. If a CEO needs to cut costs, one of the first places they zero in on is marketing. You only have to look at the world’s two biggest advertisers, P&G and Unilever, cutting their marketing budgets by more than US$100 million, to see how some CEOs view the marketing service — as a cost rather than an investment. 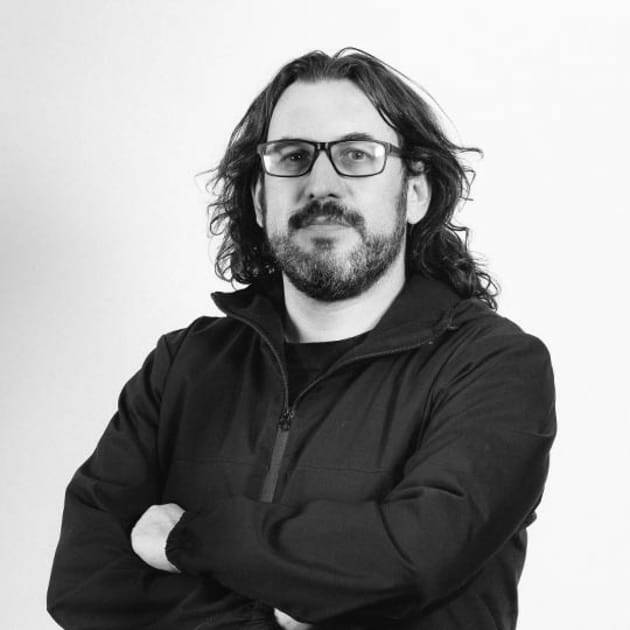 Ferrier believes that PwC, and other consultancies in the wider industry, are getting creative agencies back in the boardroom and shifting perceptions that marketing is only a cost. “Consultancies have helped the creative agency grow up by creating a thicker pipe into the true decision makers of corporate Australia,” he said. Management consultants have a reputation for being expensive and firm negotiators. Unlike agencies, which in some cases have bent over backwards to land a big account, even if that means agreeing to fees that are almost unprofitable. 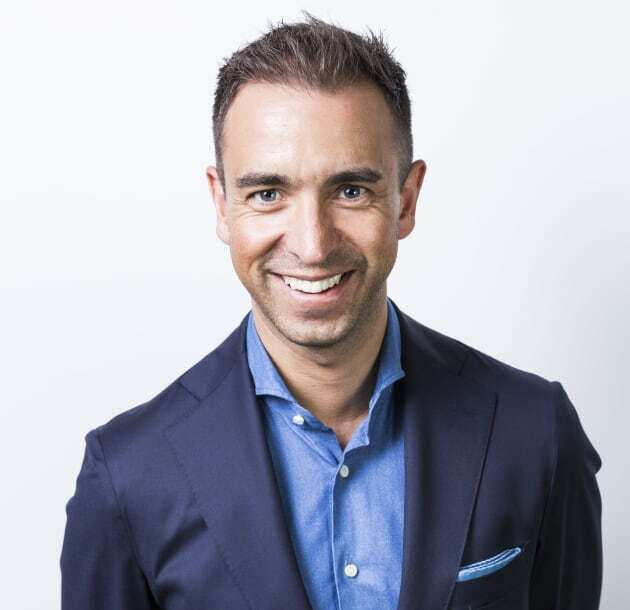 With top marketing advisers like Sunita Gloster, Mark Buckman and Russel Howcroft now working at PwC, director of the consultancy’s CMO Advisory Board, Justin Papps, said his recommendation is often to increase budgets rather than shrink them. Consultants already have C–suite access, and their upscale perception has much to do with taking the place of agencies as advisers to the CEO. Woolley said what marketers have previously struggled to do is to prove their value. "For a long time, it's been a battle to get the industry to focus on value and perhaps with the evolvement of Accenture, KPMG and the likes, the model of value-based markerting will actually get traction," he said. "Otherwise, we're all left with a procurement focus that reduces the cost of marketing - and that's a race to the bottom." 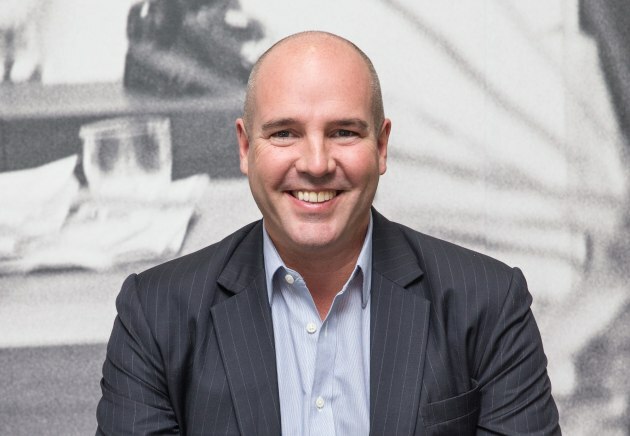 Nick Garrett, CEO of Clemenger Sydney and Melbourne, said agencies losing access to the executive team has been a “tragedy” for the advertising industry, but he also shared an anecdote of where his former agency taught a consultant a thing or two. “I can remember back from my time in New Zealand, a consultancy paid Colenso BBDO $25,000 a day to consult on their pitch documents and presentation technique because they knew they were boring, uncreative and unimaginative in storytelling,” he revealed. While Omnicom has a consultancy play through Annalect and now TBWA’s Disruption Labs, Clemenger BBDO is one of the few yet to make a move in this space. So far, being the last one to the party hasn’t hurt the agency, being named Agency of the Year at Cannes Lions in 2017, but Garrett still remains dismissive of the space. 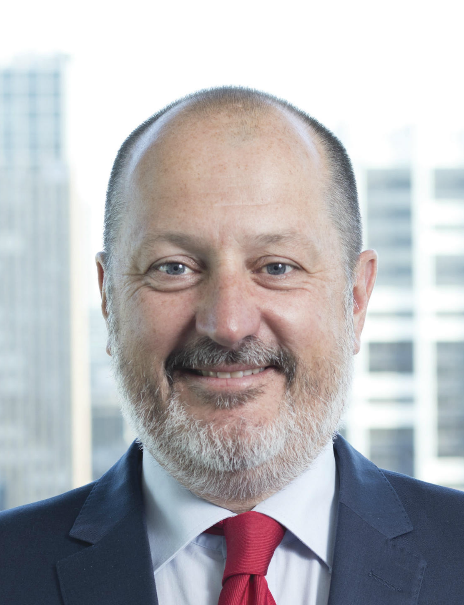 He said Clemenger doesn't often pitch against consultancies and remained confident in the strength of the Sydney and Melbourne offices. “We’ve got to worry about our own game, not what the consultancies are doing,” Garrett said, adding it’s hard to compare Clemenger to a PwC because it’s not an “apples for apples case”. He did, however, acknowledge the success of The Monkeys and Thinkerbell and said Clemenger often sees consultancy/hybrid agencies on pitch lists. In contrast, Isobar CEO Konrad Spilva said the Dentsu–owned agency comes up against a consultant in every pitch. But so far, he said, Isobar hasn’t lost much business to the main consultant players. Dentsu’s agencies may be feeling the heat from consultancies, but theyare also hitting back by investing in high level management consultancy services that are not traditionally media agency fare, CEO Simon Ryan explained. “What I've seen this year is a few of our companies like Isobar and With Collective and Accordant, and then even some of our creative agencies like BWM, pick up digital transformation projects from blue chip clients,” he said. Not only this, but agencies are also working alongside large consultancies on some projects. “We already share clients with some of the consultancy firms and are of the view that they can add value to the ecosystem and challenge some of the outdated concepts, such as around remuneration or the overall value of digital,” Ryan added. It’s the latter point on remuneration and value–added services in which consultancies could have a positive impact on how media agencies operate. In recent years, the squeeze on media buying, particularly around traditional broadcast media, has commoditised the investment in media and the service provided by agencies. It’s a point that Woolley, him-self a management consultant, recently made in a blog about agencies pricing themselves into profit. “The price you place on your services also represents an indication of how you value these,” he wrote. Ryan, as well as Omnicom Media Group CEO and Media Federation of Australia chair Peter Horgan, see an opening to reposition how agencies value their services. “There’s a big opportunity for agencies to step out of the cost arena. It helps you move past procurement if you are talking to the C–suite about, ‘here’s the return, how fast can you scale it’, rather than ‘here’s how much it’s going to cost’,” Horgan pointed out. Woolley, who has an intimate understanding of what services marketers are investing in and from whom, said there is definitely a shift by marketers in using management consultants, but it remains to be seen how the market corrects itself. As if he had a crystal ball, Woolley questioned why consultancies were moving into the less lucrative space of creative, instead of media buying. His comments came before Accenture’s announcement it would begin buying media for clients. “If you’re going to play in a cash–rich environment, you would think consultancies would invest in the media space, especially the digital media space,” Woolley said. Accenture is now playing in the media game, offering planning, strategy, buying, management of programmatic ad campaigns and ad tech support, as well as help clients move their programmatic in-house, much to the distain of media agency leaders. Horgan, Hyland founder Virginia Hyland, GroupM ANZ CEO Mark Lollback and professor Mark Ritson spoke out against the move and Ryan labelled it a “huge conflict of interest”. But Horgan also addressed the advantages of consultancies, having enormous scale, deep pockets and an unrivalled access to the C–suite, particularly CFOs and CEOs. Dentsu’s Ryan said that for a lot of large listed clients, the “stamp of a consultancy” gives the perception of credibility to the board. “I think what we're finding though is a lot of CMOs, CFOs and CEOs are now saying, ‘Okay, that's good in theory, but how do we implement it’,” Ryan explained. Accenture may have moved into the space with its media buying venture, but there are still many consultants without any media capabilities. Horgan believes that while global consultancies talk a good game about owning the whole consumer journey, in reality they will never get there until they can implement these strategies, which means acquiring a media buying capability. “Until they get that ability to execute through the funnel, and by that I mean in broadcast areas, which is expensive, complicated and really messy when you get it wrong, they’re going to be slightly stymied,” he said. Without the ability to execute, argued Horgan, consultancies don’t possess visibility of how consumers are behaving online and how they respond to marketing messages across the digital and offline media ecosystem. “That’s a big gap,” Horgan said. “You can have all of the Harvard educated strategists in the world and all of the tech consultants out of Silicon Valley helping clients build out their tech stacks, but if you are not able to execute out the back of that you’re missing a huge part of the trick. Horgan believes it is possible that one of the global consultancies with deep pockets (the likes of the Deloitte, EY and KPMG, as well as Accenture), could buy a media holding company, but they “won’t with the sort of margins those guys are used to enjoying”. “It will be interesting what happens when management consultants want to charge consulting prices for advertising agency services," he said. "And likewise what would happen if agencies really got serious in pricing their services based on value and price and not simply on cost?”. Why is Accenture going media alone? There are a few reasons why consultancies aren’t racing into media buying and it has something to do with the murky supply chain that P&G CMO Marc Pritchard called out last year, according to Deloitte Digital partner David Phillips. 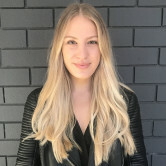 Speaking at the AdNews Media and Marketing Summit in May, Phillips, who joined Deloitte from McCann last year, said as one of the world’s biggest accountants, “you can’t dip your toe into an industry that’s a little bit questionable at the moment in terms of transparency”. He also said margins are an issue and consultancies will never be able to compete with the low margins agencies offer. “Ad agencies work off of about 12–19% on average so it would be hard for us to do that,” Phillips said, adding that 90% of an ad agency’s revenue comes from “low baby production stuff”. Also on the Summit panel was RXP founder Ross Fielding, and KPMG CMO Advisory partner Carmen Bekker, who agreed media isn’t a move for their businesses. “Our business models are quite different from media agencies. They are based on retainers and long–term, strategic contracts," Phillips explained. In addition, he said adding a retainer model doesn’t make sense for consultancies. While right now consultancies are adamant they don’t want to be involved in media buying, Woolley said they offer the potential to “redesign the whole model”. “The biggest opportunity is for them to go into media and totally reinvent the model around performance and delivering value to clients, and eliminate murkiness,” he said. “For a long time, it’s been a battle to get the industry to focus on value and perhaps with the evolvement of Accenture, KPMG and the likes, the model of value–based marketing will actually get traction," he said. How is adland responding to the threat of consultancies? This is our cover investigation from the June issue of AdNews Magazine that examines the impact of consultancies on the industry. Sign up and support us to see in-print first.